CNMAT presents [http://www.earlhow.com/|Earl Howard] (live electronics and saxophone), with guest David Wessel (live electronics). Earl Howard (b. 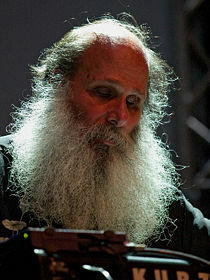 1951) is an American avant-garde composer, arranger, saxophonist, synthesizer player and multi-instrumentalist. Mr. Howard is one of the pioneers of new music. He has been in the industry for over thirty years. Howard has performed with Anthony Davis, Gerry Hemingway, John Zorn, Georg Graewe, Mari Kimura, Mark Dresser, Yuko Fujiyama, Evan Parker, Thomas Buckner, George Lewis and many of the other most prominent musicians in his field.